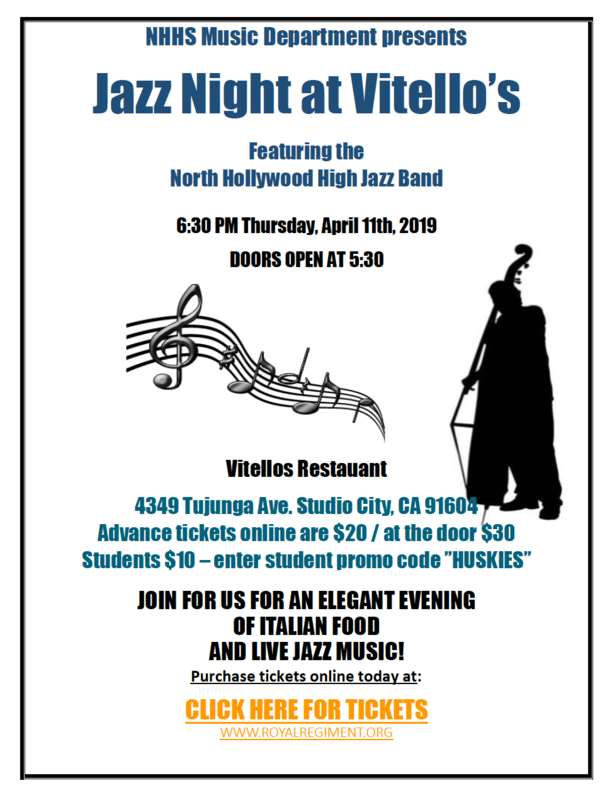 If you like listening to Jazz while eating delicious Italian food, please join us for Jazz Night at Vitello’s next Thursday, April 11th! The event features the Jazz band playing all evening in big band and combo settings. Doors open at 5:30 pm and the band begins at 6:30 pm. This event is likely to sell out so please purchase tickets online NOW! Advance tickets are $20, and $10 for students (enter student promo code – HUSKIES ). Ticket prices will increase at the door. Patrons are also asked to purchase a meal at the event. Please mark your calendars and bring friends and family to this entertaining and tasty event! 2019-20 Drum Major & Dance Captain Applications! April 11th • Jazz Night at Vitello’s 6 pm – Click Here for tickets!